After touching the 200-goal milestone for Real Madrid, Karim Benzema is determined as ever to continue to "rewrite the history books". The Frenchman scored his 200th and 201st goals for Los Blancos as his team put five goals past Viktoria Plzen in the Champions League on Wednesday. 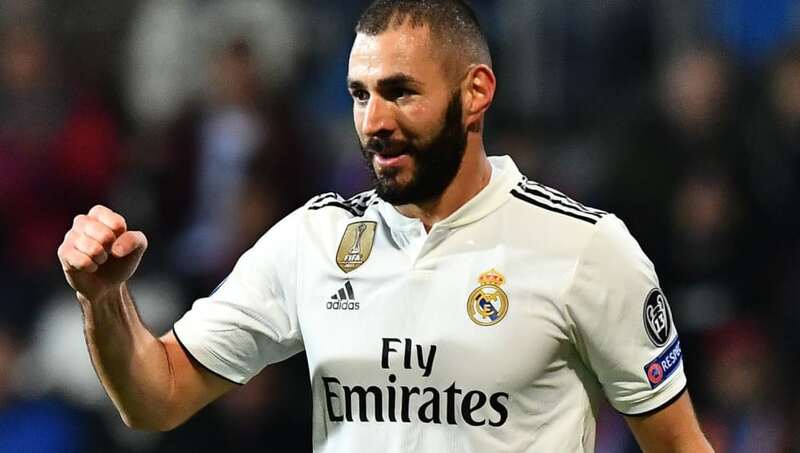 Benzema, who's the fourth-highest goalscorer (59 goals) in the Champions League, has faced criticism for lack of goalscoring pedigree throughout his career. The 30-year-old, however, believes that people often misunderstand his performances, claiming that "it's not just all about the goals." "I play football to rewrite the history books and sometimes people don't understand what I do out on the pitch," he said, via the club's website, as quoted by ​FourFourTwo. "I'm there to help my team-mates and give my all. I sometimes score and other times I don't. But the important thing is that we win silverware. I'm 30 now and that's always been the case. I'm very proud of my goals, it's a big tally and that gives me the confidence to go on and score more." "However, it's not just all about the goals, you've got to be a good footballer to be a good striker. When I take to the pitch I want to score goals, but am also keen to provide assists, defend, attack… do the job that a forward does," he concluded.